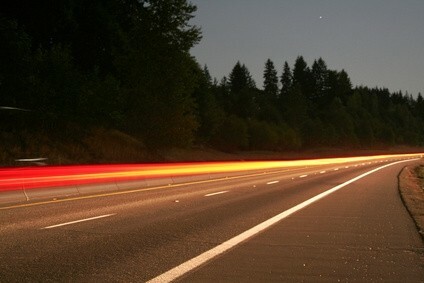 Traffic glass beads are reflective beads that are embedded in the paint of traffic lines in order to provide increased retro reflectivity during night time driving conditions. When 50% of the the beads are embedded they adhere well to the paving surface and enough of the bead rises above the paint to catch the head light of traveling automobiles. The beads reflect the light back to the driver allowing the driver to better see the roadway and marked lines. Traffic beads are sprayed into the wet paint of road lines by machinery that follows behind the paint spraying equipment when road lines are being painted.